The effort to collect samples of DNA from diverse populations strives to overcome alleged public misunderstanding of its aims. MISINTERPRETED: "We need to show that this is just not a group of self-perpetuating insiders," says HGDP committee chairman Ken Weiss. 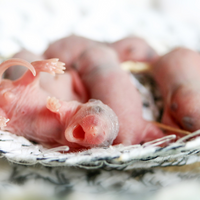 Members of a National Research Council (NRC) panel evaluating the issues-both controversial and prosaic-surrounding the proposed Human Genome Diversity Project (HGDP) have their hands full. Conceived about five years ago and still in the planning stages, HGDP aims to collect DNA samples from the estimated 4,000 to 8,000 distinct human populations that exist today to create a database that details cultural and genetic diversity. 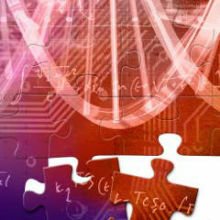 The information will help researchers learn more about the genetics of diseases and human evolution, among other topics. Last month the 15-person NRC committee, commissioned by the National Institutes of Health and the National Science Foundation, heard testimony from the project's organizers as well as from its proponents and critics. The panel, which comprises geneticists, anthropologists, ethicists, and others, is charged with examining the scientific, ethical, legal, social, logistical, and funding issues that surround the international project. HGDP organizers say it will provide new anthropological and biomedical information on the human species. "Identifying complex disease genes, and . . . disentangling multiple cases of disease" are some of the potential biomedical contributions expected of the project, stated Mary-Claire King, the American Cancer Society Professor at the University of Washington School of Medicine and an HGDP founder, at the NRC meeting. HGDP has been endorsed by the Human Genome Organization (HUGO), a nonprofit group of scientists that coordinates human genetics studies around the world. The project has been awarded close to $500,000 in seed monies from the U.S. government and private foundations, including the Chicago-based MacArthur Foundation. However, observers agree that unresolved, complex social, ethical, and scientific issues are major hurdles for this ambitious project to overcome before it can move forward. POTENTIAL FUNDER: Biomedical applications interest NIH most, says Judith Greenberg. "[A concern] specific to NIH is the biomedical significance of the project," remarks Judith Greenberg, director of the National Institute of General Medical Sciences division of genetics and developmental biology. "Is this the best way to get information about complex disorders or susceptibility to disease?" HGDP critics argued before the NRC committee that many ethical issues-informed consent and confidentiality, for example-need to be resolved before the project is allowed to proceed. "[The committee is] going to need to be completely aware of the potential abuses that are inherent in this," declares Hope Shand, research director of Rural Advancement Foundation International (RAFI), a Pittsboro, N.C., activist group that has been one of HGDP's most vocal critics. At the September NRC meeting, representatives from RAFI and the Edmonds, Wash.-based Edmonds Institute, along with indigenous peoples from Colombia and the Solomon Islands, expressed objections that HGDP sampling could potentially violate cultural or religious beliefs and lead to proprietary claims on human DNA-derived material by multinational drug conglomerates, among other concerns. In response, HGDP organizers point to the "Model Ethical Protocols for Collecting DNA Samples," an overview and statement they drafted about two years ago that details the project's stance on such issues as informed consent and gene patenting. SURF THE WEB: Stanford's Hank Greely points critics to HGDP's documents on the Web. 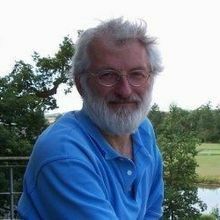 "I wish people who are critical of our project would read our stuff," laments Hank Greely, a law professor at Stanford University who chairs HGDP's North American regional committee's ethics subcommittee. "Our ultimate position is that we'll enforce whatever the population involved wants." According to Eric Fischer, project coordinator for the NRC committee, the panel plans to spend the rest of the year digesting the material it has been presented. It is expected to produce a report outlining its recommendations for HGDP's implementation by the end of January 1997. 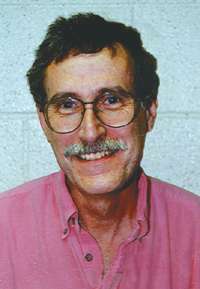 Organizers trace the project's inception to two papers published in the early 1990s by Luca Cavalli-Sforza, a Stanford University geneticist, and colleagues. Cavalli-Sforza has used a combination of genetic, anthropological, and linguistic data to study human evolution over the last 50 years. The papers (L.L. Cavalli-Sforza, American Journal of Human Genetics, 46:649-51, 1990 and L.L. Cavalli-Sforza et al., Genomics, 11:490-1, 1991) detailed proposals for such a project. 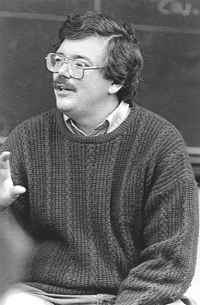 Cavalli-Sforza initially devised the idea for HGDP, "in a sense, as a counterpoint to the genome project itself," states Ken Weiss, a distinguished professor of anthropology and genetics at Pennsylvania State University and chairman of HGDP's North American committee. "[Cavalli-Sforza] raised the argument that we should be looking at variation." The goal of the Human Genome Project (HGP) is primarily to map all the genes found in the human genome. HGDP organizers estimate it will take five to 10 years and cost several million dollars to complete the project, which aims to collect DNA samples from blood, hair, or saliva from human populations worldwide. As samples are collected and analyzed, results will be put into a continually updated computer database for researchers around the world. As part of early HGDP planning meetings, anthropologists and others identified groups of people to sample. 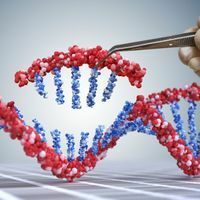 The project, however, ended up being connected with growing anxieties over patenting of human genes. During the same time that the planning meetings were under way, NIH and the Centers for Disease Control were in a controversial pursuit of patents on three viral-infected cell lines derived from blood donated by a woman from the Guaymi population of Panama, a man from the Hagahai people of Papua New Guinea, and a person from the Solomon Islands. Since then, the Guaymi and Solomon Island applications have been dropped, and NIH agreed to turn its patent interests over to a trust for the Hagahai. But critics' reactions to the patent applications have resulted in HGDP's need to contend with shock waves that been reverberating ever since. In 1993, RAFI notified organizations representing indigenous peoples about HGDP's plans. These groups reacted with extreme outrage, labeling HGDP the "vampire project" and its organizers molecular colonialists for "targeting" ethnic groups without consulting them. This set the vitriolic tone that still exists in discussions between HGDP and its major opponents. "There's a long, sorry history to this," says Weiss with a sigh. "Some of it's our fault. Some of it's the media's fault. Some, the fault of opportunists." Weiss also thinks that Cavalli-Sforza's prominence within the scientific community attracts opposition in its own right. "People seized on his view, saying that he wanted to only sample populations of so-called genetic isolates. From the very beginning we were talking about collecting a database of large, widespread populations as well as smaller, so-called isolated ones," he explains. Cultural Survival, a nonprofit organization based in Cambridge, Mass., that works with indigenous peoples http://www.cs.org. The summer 1996 issue of the Cultural Survival Quarterly is almost exclusively devoted to the issues surrounding HGDP. "We were also taken completely by surprise when we got accused of wanting to have commercial gain or patents," remembers Weiss. "None of us-to my knowledge-ever even thought about that possibility. This and many other wild ideas-like we were going to clone humans and that this was a CIA cover project-were spread around. "Certainly we did not see that the indigenous peoples of the world would see us as one more exploiting effort," says Weiss. Indeed, representatives from Colombia and the Solomon Islands who spoke at the NRC meeting are still gravely suspicious of the motives of the project. "What is rational for Western [society] . . . is not rational for us," said Ruth Liloqula, the director of agricultural research for the Ministry of Agriculture and Fisheries of the Solomon Islands. "In our culture, genes are not inventions." Both from the outset and as a response to alleged misrepresentations, HGDP's North American regional committee is addressing ethical and societal issues within the ethical protocols. These issues include ownership and control of human genetic material and its derivatives; informed consent; ways of working with an array of ethnic groups who may object to sampling for religious or cultural reasons; and ways to provide benefits to participating populations. VALUE-LADEN: Arno Motulsky warns of conflicting value systems. 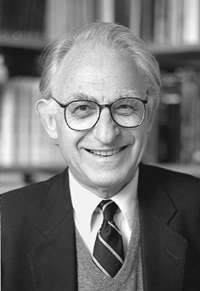 "The HGDP has a strong scientific rationale within the value system of educated Western societies, and I wholeheartedly agree with its aims," wrote Arno G. Motulsky, a professor in the departments of medicine and genetics at the University of Washington, in an August 14 letter to the NRC committee. "However, the HGDP raises problems of carrying out research on populations which may not share Western values." Acknowledging efforts by HGDP organizers, Motulsky also wrote: "Written material by the HGDP shows that its planners are very much aware of these problems and are trying to overcome them." 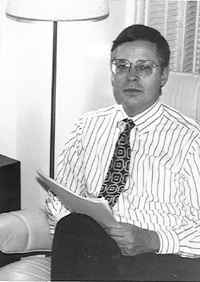 In the fall of 1995, Cavalli-Sforza went to the United Nations Educational, Scientific, and Cultural Organization (UNESCO) for an independent review of HGDP's protocol. Specifically, he recalls, he was looking for UNESCO to help with ethical issues. "The conclusion of the committee was that the issue was not the diversity project, but rather an issue of population genetics [research] generally," says Bartha Maria Knoppers, a professor of law at the University of Montreal. In a letter to Nature (D. Macer et al., Nature, 379:11, 1996), Knoppers and colleagues spell out some of their findings. HGDP's draft ethical protocols were presented to a population genetics subcommittee of UNESCO's International Bioethics Committee more than a year ago. 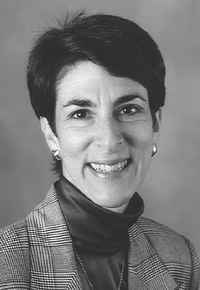 Knoppers is chairwoman of the HUGO ethics committee, and a member of the UNESCO review committee. "I do think they're making a sincere effort to address these issues," says RAFI's Shand. "We definitely think they've taken a step forward, but we don't think [HGDP ethical protocols] go far enough. We think it lacks basic enforcement mechanisms." SHIFT: John Moore says RAFI's softened tone is a significant change. John Moore, a professor of anthropology at the University of Florida, Gainesville, and a member of HGDP's North American committee, sees such statements from RAFI as a major switch: "I had never heard them refer to us as well-intentioned. This is the first time." Another concern of critics is how HGDP will relate to other genome projects now under way, including the Human Genome Project and HUGO. "No one can seem to get a handle on the HGDP," notes Shand. "It was not clear after the [September NRC] meeting what the relationship is between HGDP's North American Committee and scientists in the rest of the world where collecting is already taking place." According to Greely, "no collecting is going on anywhere in the world under the auspices of the HGDP, although there are projects in Europe and China that may have started collecting and that may eventually become part of the HGDP." A project in Europe called the Biological History of the European Peoples is funded by the European Community and is being carried out by a committee that overlaps with the European Committee of the HGDP, notes Greely. The NRC committee has no direct say in giving the project a green light, but the panel's recommendations may determine the project's future funding, especially in the United States. "As came out at the meeting, [the project's] not set in stone," remarks Lisa D. Brooks, population biology program director in the Division of Environmental Biology at NSF. "There're various forms of it, and part of what the NRC is supposed to do is to address the scope of a human genome diversity project." As a potential funding agency, NSF has two concerns, according to Brooks. "One is that the science needs to be excellent, as with any NSF-funded project. The other consideration is-were this to be done-it would have to be carried out under very strict ethical and legal standards." Who might enforce these guidelines is yet another question posed by both critics and evaluators of the project. Brooks suggests that funding agencies might be able to play a role: "Because we hold the purse strings, we can withdraw funding if ethical protocols are breached." What entity might eventually end up with the role of HGDP governor remains to be seen. Nevertheless, says Weiss, "from the point of view of international politics and openness, we need to show that this is not just a group of self-perpetuating insiders doing what they want without anyone looking over their shoulders." Motulsky sums up the NRC committee's complex task in his letter: "If the NRC committee agrees with the general aims of the HGDP (as I hope it will), considerable attention should be given to the problems of patents, equitable distribution of possible profits from HGDP discoveries, and the avoidance of practices of 'scientific imperialism' in general."